This series of 30 brief (3-minutes) videos highlight different aspects of helping people get along in a work environment. The videos come as a set, and people listen to one each day, at a time of their choosing, for 30 days. There is an action or exercise with each day, as well as a quick evaluation of progress toward mastery. The material augments the points I make in my workshops improving interpersonal relationships. The benefit is that all of the participants in the program would have a fresh reminder of the key skills to help people get along better at work. The 30 day period will assure that people think hard about the promise of how human relations plays a huge role in the work environment. The regular cost of the program is $100 US per person. If you use the Promo Code “Jungle” you will receive a 70% discount and your cost will be $29.95. That is 30 days of training for about the cost of a single dinner. To experience the quality and style of the program, go to https://app.avanoo.com/first3/528 . Just click on the link and follow the instructions. There is no obligation or sign up needed. Avenoo "Building Trust" Video Series - This series of 30 brief (3-minutes) videos highlight different aspects of trust. The videos come as a set, and people listen to one each day, at a time of their choosing, for 30 days. There is an action or exercise with each day, as well as a quick evaluation of progress toward mastery. The material augments the points I make in my workshops on Trust. The benefit is that all of the participants in the program would have a fresh reminder of the key skills leaders need to employ to build a culture of higher trust. The 30 day period will assure that people think hard about the promise of higher trust and their role in making it happen. The regular cost of the program is $100 US per person. If you use the Promo Code TRUST you will receive a 70% discount and your cost will be $29.95. That is 30 days of training for about the cost of a single dinner. To experience the quality and style of the program, watch the first three segments of the Building Trust program. Just click on the link and follow the instructions. There is no obligation or sign up needed. 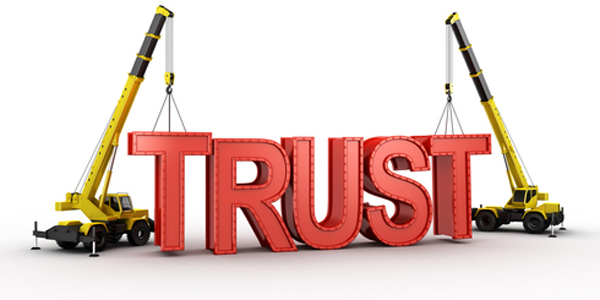 In the world of mergers and acquisitions and corporate-culture change, organizations must preserve and enhance trust. 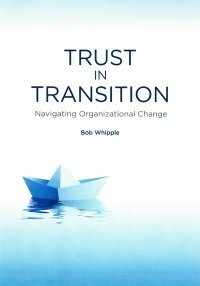 This book by former corporate executive and "Trust Ambassador" Bob Whipple is the most complete work on how to build Trust in Transition.Without Trust, most transitions do not meet expectations. Bob Whipple helps you beat the odds. 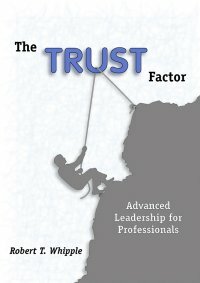 Order Trust in Transition from ASTD Press today! $24.95 List price, $19.95 for ASTD (ADT) Members. Available in PDF or Paperback. The book comes with 12 author videos that make it a complete learning system. Too many leaders believe they must embody nearly superhuman characteristics and endure excruciating stress to be successful. They do not understand the true essence of leadership. By focusing on building an environment of trust, leaders can be highly effective even though they may not look the part, have a PhD, or display the perfection of Mary Poppins. This book debunks the conventional wisdom on the characteristics of exceptional leadership and demonstrates a simple and more effective path to greatness. After reading this book, you will no longer worry about being perfect in your actions or decisions. You will finally be free to relax and enjoy the incredible ride downwind that is available to all leaders who understand how to do it right. Why fight the wind when it is possible to align the world such that your destination is in the direction the wind of trust is already blowing? 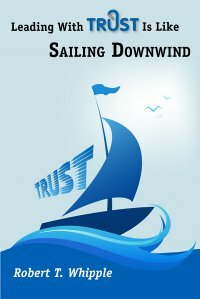 Let the winds of TRUST fill your sails always! The fastest and most direct route to long term business success is trust, and the strategy to obtain it need not be complicated. 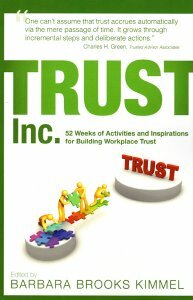 This third book in the “Trust Inc.” series offers 52 weeks of trust-building activities and inspirations from the world’s leading experts. Bob Whipple has contributed two weeks of activities in this book. 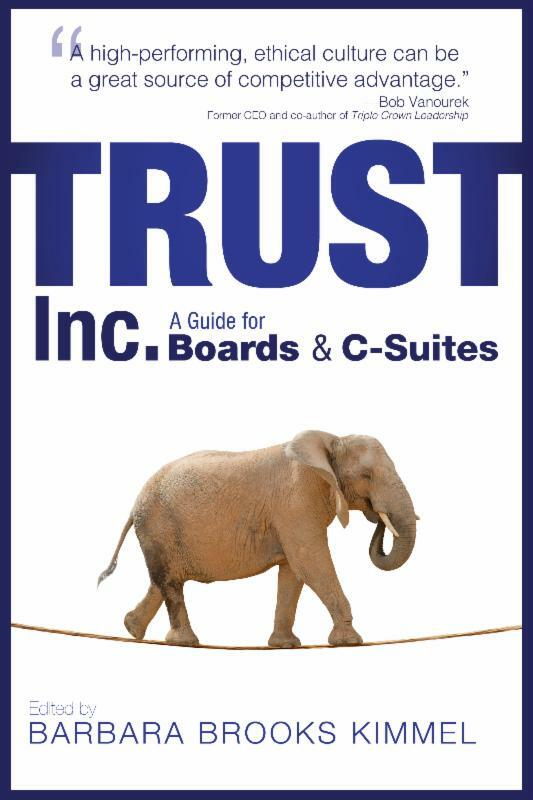 Trust Inc.: A Guide for Boards & C-Suites (Volume 2), edited by Barbara Brooks Kimmel, Executive Director of Trust Across America – Trust Around the World, is the second book in the award-winning TRUST INC. series. It convenes over 60 experts from around the world including CEOs, academics, consultants, military leaders, and many others to share 100 strategies on building organizational trust at the Board & C-Suite levels. Bob Whipple is a contributor to this book, which is the second in the TRUST, Inc. series. Trust is not merely a soft skill or a social nicety. Research shows that trust is as important to successful and sustainable organizations as customer service or teamwork. One study by Watson Wyatt found that the rate of return to shareholders was almost three times higher at companies with high levels of trust than at those with low levels. A major theme running through the book is that trust is the bedrock of great leadership, with significant implications for how the organization interacts with its stakeholders — customers, employees, vendors, shareholders, and the community. “Any Board members or C-Suite executives who don't evidence an unmistakable sensitivity to this societal drumbeat, do so at their own peril” writes Doug Conant, former CEO of Campbell Soup Company and currently CEO of ConantLeadership, in his contribution. “Help build a better world. 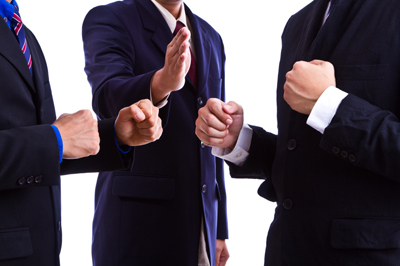 Earn the trust and respect of all stakeholders..."on the other hand, there is no other hand." Now Available! 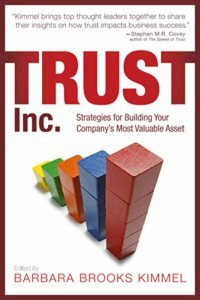 Trust Inc.: Strategies for Building Your Company's Most Valuable Asset , Edited by Barbara Brooks Kimmel. Ken Blanchard wrote the introduction and the President of the American Express Foundation, Tim McClimon, wrote the Foreword. More than 30 leading experts share their insights on the impact of trust on business success in this handbook on organizational trust. Through case studies, stories, and solutions, these experts present a holistic perspective that encompasses the role of all stakeholders, not just leaders, in advancing trust and trustworthiness within organizations. Among the contributors are Bob Whipple of Leadergrow, Inc., Ben Boyd of Edelman, Randy Conley of Ken Blanchard Companies, Stephen M. R. Covey of CoveyLink, Amy Lyman of the Great Places to Work Institute, and Bob Vanourek of Triple Crown Leadership. Ideas in this eye-opening book will help you every time you send or receive an electronic note, whether at work or at home. You will learn to read between the lines in all forms of incoming electronic communications and ensure outgoing messages convey your true intentions and are politically appropriate. Bob Whipple also teaches you how to avoid the escalating and embarrassing "e-mail grenade" battles that are too prevalent online. There are many tips for managing your electronic inbox to avoid overload and "e-burnout." Understanding E-body Language will forever change how you view e-mail, while making your online communications easier and more effective. Creating an environment of TRUST is the heart of leadership. Where trust exists, all other performance dimensions automatically improve. Without it, small problems become huge obstacles. This book reveals new ways of building trust and will help you make a quantum leap in your leadership capability quickly. This DVD is an example of a 1 hour lecture by Bob Whipple on Understanding E-Body Language. It contains several of the concepts from the book, and illustrates how these ideas can create a competitive advantage for organizations who understand them. The DVD can be used as a primer for more training in this critical skill. It is not intended to be used as a primary training video, but will sensitize leaders to the content and the leverage that can be obtained. 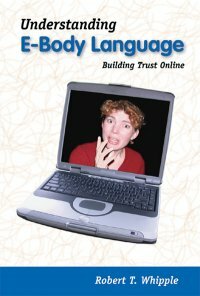 This DVD is a brief, 15 minute, interview of the ideas in the book, "Understanding E-Body Language: Building Trust Online." It gives the basic concepts of the book and the business case for organizations to pay attention to the incredible leverage that can be obtained by giving employees some training on this subject. 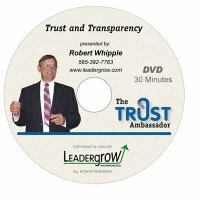 This DVD is a 30 minute composite of out takes from a 3-hour presentation on Trust and Transparency at Saint John Fisher College on December 3, 2009. The summary shows 6 key points from the presentation plus several audience endorsements.